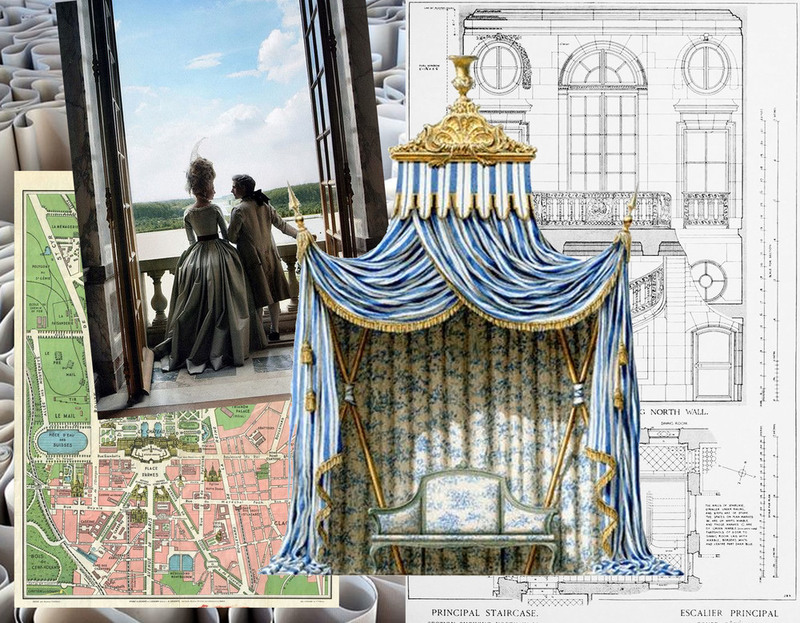 The inspiration: the architecture of Versailles, the gardens of Versailles, the interior decoration, Marie Antoinette, and Sofia Coppola's Marie Antoinette movie. So let us get the indoor outdoor, and lets have fun. A few weeks a go I was writing about summer parties: along the pool, in the garden or on the beach: colourful, sparkling, dancing all night long. 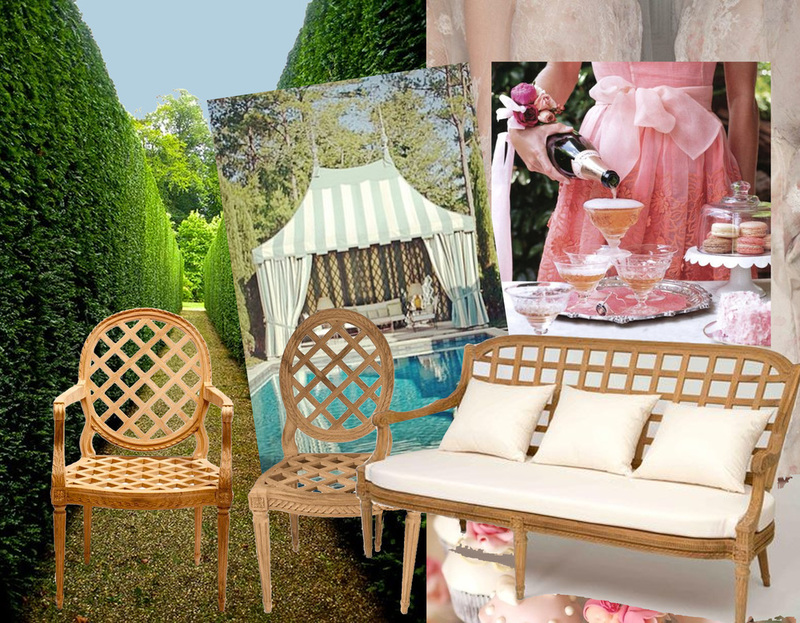 Now I was thinking of a more stylish event, taking some classical decoration ideas outdoor. 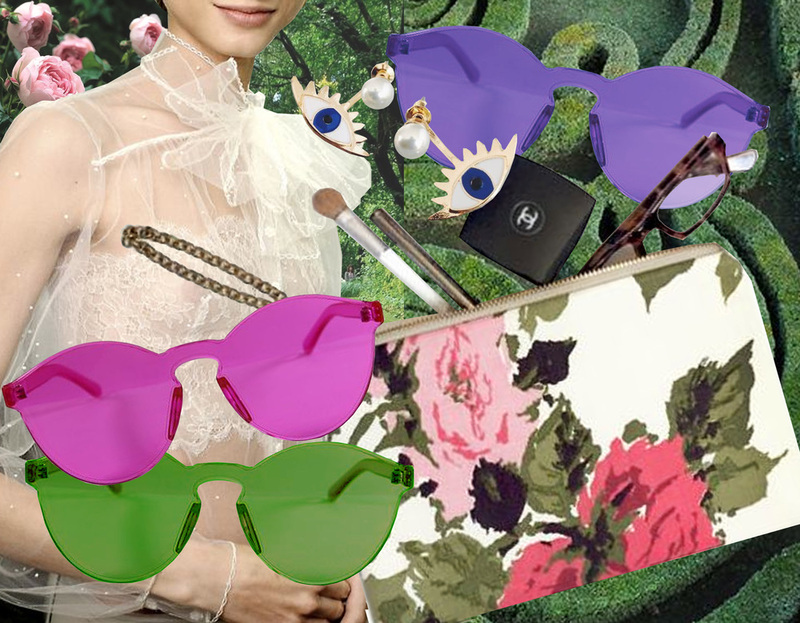 I can imagine strong pastels, a lot of baroque decoration, an elegant but relaxed atmosphere. Think of the movie: Marie Antoinette liked to play around. The time of Louis XVI was, what I almost could say, quite simple after the excesses of Louis XIV, and Louis XV. Small pieces of furniture were ordered by Marie Antoinette to decorate the Petit Trianon, where she would retreat from the hectic life of the court and invite her friends over for parties. The setting: the garden, labyrinths. Don't forget that it can still be very hot so think of creating some shaded areas. Maybe you have a lot of big trees, if not you can look for a tent, a striped fabric would just be perfect. And remember it is never to much, add some ribbons, tassels, make it festive. I know you are in the garden but a flower arrangement can just add that extra touch, showing you were taking care of every detail. The decoration: re-creating the indoor. Big vases for plants and flower arrangements. Baroque frames in cardboard to frame the beauty of nature around or to use when making some great pictures with your guests. If your party will continue late in the evening than you should not forget to take out your silver candle holders. 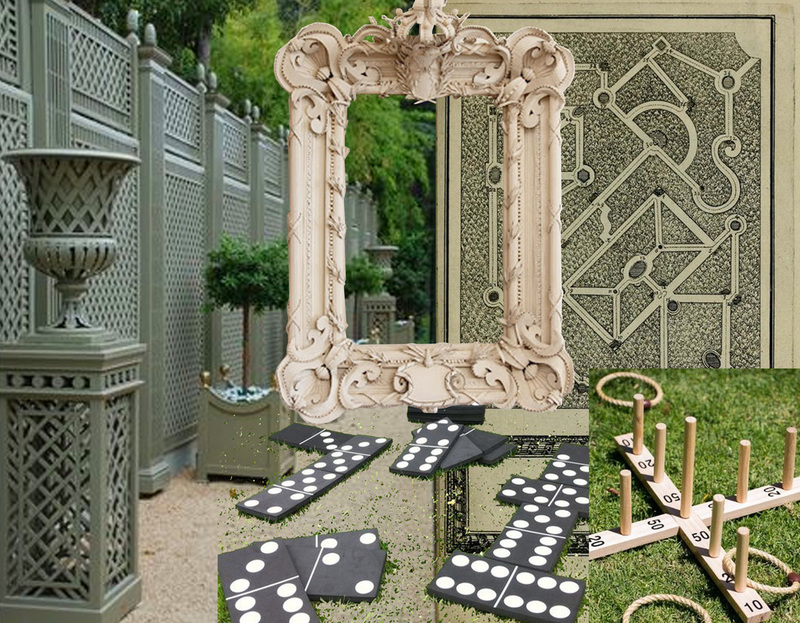 The entertainment: some classical games, will bring fun to all ages in a XL-version. Or a simple hide and seek. Think of some of those old-fashioned games you played as a child, I'm sure everybody will love them. The furniture: Louis XVI style in a teak wood, what else? And no worries, the furniture will get a patine over the years and will make your furniture even more beautiful after spending some winters outdoor. You can dress up your chairs and benches, if you wish, by putting some colourful printed cushions. The buffet: Use some beautiful tablecloths, they can be simple white. Maybe you can find some tulle or an embroidered fabric to put as a layer over it. Small embroidered napkins and vintage glasses will look great. And did you think of some people helping you with serving? Dress them in style. The menu: simple. While the setting and the furniture couldn't be more classical inspired, the food and the drinks will bring the Marie Antoinette touch. Feminine, colourful, fresh. Keep it easy, serve finger food, a candy bar, ice cream stand are very trendy for the moment and it couldn't be easier. Combine classical furniture pieces with modern design pieces. The weather will be good, so no worries when taking your armchairs outdoor for the party. Dress code: elegant with a twist. All dressed up in lace, and/or colourful prints. Don't forget to add a touch of sparkle by choosing your accessories.